Smith & Wesson Reveals Surging 4Q Profits Amid "Robust Consumer Demand"
Smith & Wesson (SWHC) more than doubled its fiscal fourth-quarter earnings on Tuesday and issued a bullish outlook as the firearms manufacturer continues to capitalize on rising demand for guns. Shares of the Springfield, Mass.-based company ticked slightly higher in after-hours trading on the results and upbeat guidance. Smith & Wesson said it earned $25.17 million, or 38 cents a share, last quarter, compared with $12.47 million, or 19 cents a share, a year earlier. On a non-GAAP basis, the company’s earnings came in at 44 cents a share, matching consensus calls from analysts and management's upgraded guidance earlier this month. Sales soared 37.6% to a new record of $178.7 million, topping the Street’s view of $170.7 million. Gross profits expanded to 38.3% from 36.1%. Smith & Wesson CEO James Debney cited “continued robust consumer demand for firearms” as well as “significant increases” in the company manufacturing capacity. Like many firearms manufactures, Smith & Wesson had seen a rise in sales when Barack Obama became President because of his anti-Second Amendment attitude. Since the Sandy Hook massacre in Newtown, Conn. in December of 2012, sales have even risen more. The mass shooting sparked fears of much tighter gun control legislation by the Obama administration and the Democrat controlled Senate. Looking ahead, Smith & Wesson forecasts fiscal first-quarter revenue of $162 million to $167 million and non-GAAP EPS of 34 cents to 37 cents. Both figures would exceed current forecasts from analysts for sales of $141 million on EPS of 30 cents. For fiscal 2014, management sees sales of $605 million to $615 million and EPS of $1.30 to $1.35. Again, both figures would top the Street’s projections for revenue of $602.3 million and profits of $1.18 a share. 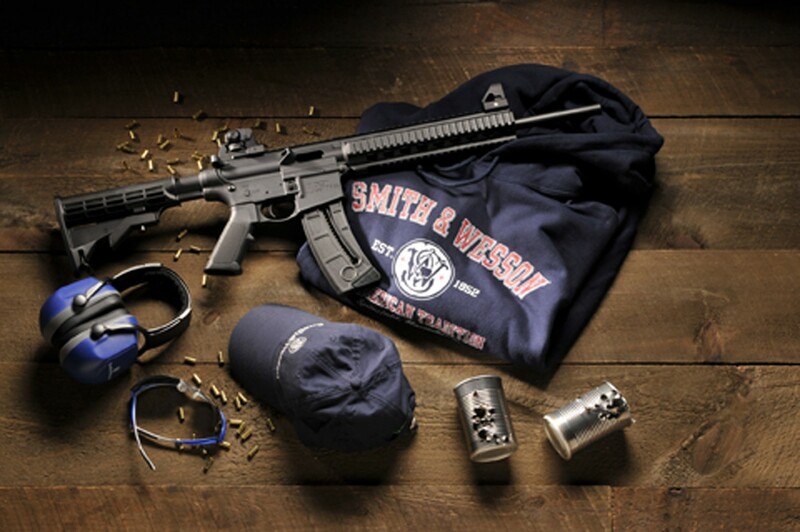 Shares of Smith & Wesson inched up 0.3% to $10.05 in extended trading on Tuesday afternoon. Smith & Wesson closed regular trading with a 3.74% rally to $9.99, leaving it up just over 18% on the year. Because of the hightened fears regarding what Obama and the anti-gun Democrats will do, there is no sign of sales coming down anytime soon. Pork-laced Bullets Designed To Send Muslims Straight "To Hell"
A recent report out of Spokane, Washington, is about a firm that is making bullets for specific use on Muslim attackers and Islamic terrorist. A group of Idaho gun enthusiasts decided to fight back against Islamic terrorism with a new line of pork-laced bullets. South Fork Industries, based in Dalton Gardens, Idaho, claims its ammunition, called Jihawg Ammo, is a "defensive deterrent to those who violently act in the name of Islam." The bullets are coated in pork-infused paint, which the company states makes the ammo "haram," or unclean, and therefore will keep a Muslim who’s shot with one of the bullets from entering paradise. "With Jihawg Ammo, you don’t just kill an Islamist terrorist, you also send him to hell. That should give would-be martyrs something to think about before they launch an attack. If it ever becomes necessary to defend yourself - our ammo works on two levels," the company said in a press release earlier this month. The company’s website bills the bullets as "Peace Through Pork" and a "Peaceful and natural deterrent to radical Islam." There’s a related line of apparel that feature slogans like "Put Some Ham in MoHAMed" and a target poster that says "Give Em a Spankin with some Bacon." "The nullifying principle of our product is only effective if you are attacked by an Islamist in Jihad," the company’s website says. "Otherwise, our ammo functions just like any other ammunition, so we obviously insist upon defensive use of our ammo only-not offensive." The ammo has plenty of supporters, with more than 4,300 people liking it on Facebook. One fan, Ted of California, said he planned to buy 500 rounds. Another, Jeffrey, said he hoped someone would smuggle the bullets into U.S. military troops. Police in Texas launched a no-knock raid on a citizen’s home — simply because "they believed" there was a AK-47 inside. The targeted gun owner, John Gerard Quinn, is asking a state appeals court to decide if the police were justified in their raid. John W. Whitehead, president of the Rutherford Institute, is defending Quinn. “Whatever the issue might be, whether it’s mass surveillance, no-knock raids, or the right to freely express one’s views about the government, we’ve moved into a new age in which the rights of the citizenry are being treated as a secondary concern by the White House, Congress, the courts and their vast holding of employees, including law enforcement officials,” said Whitehead. In its appeal to the Texas Court of Criminal Appeals, the Rutherford Institute pointed out that the United States Supreme Court previously ruled that a "no-knock" raid is only justified if there is a specific warrant, or if officers have reason to believe someone is hurt. Exercising the Second Amendment right to possess firearms in a residence shouldn’t deprive someone of their Fourth Amendment protection against "no-knock" searches. Quinn’s home was "stormed by a SWAT team that failed to knock and announce its entry in keeping with police protocol for non-violent situations," Rutherford said. "Although the SWAT team had been granted a search warrant on the basis of leads provided by informants that Quinn’s son may have been involved in drug activity, the warrant did not authorize police to enter the residence without knocking and announcing their entry," the appeal said. The SWAT team broke into Quinn’s home while he was sleeping. They found less than one gram of cocaine, which Quinn was charged with possessing. But with regards to the gun in the home, the appeal argues that the Supreme Court has never ruled that suspected possession of firearms in the home is enough cause for a no-knock raid. The appeal also comments on the AK-47. It reads, "The [court] seems to think than an ‘AK-47′ rifle is some sort of ‘exceptionally’ dangerous weapon. Actually, despite the faux mystique surrounding that particular type of rifle fostered by popular media, the AK-47 is not uniquely dangerous. It is the most-used rifle in the world because there are 100 million of them, it is cheap to make and easy to repair, and because it can be chambered for a wide variety of calibers. When chambered for .223 caliber … it is no more dangerous than any other .223 caliber rifle such as the AR-15 – the most widely used hunting rifle in the U.S. today." "As a gun collector who prudently kept his legally owned collection safely secured in gun vaults, it was altogether possible that Mr. Quinn could have had a large number of guns in his home and no ammunition," it continued. "The point here is not to argue that ‘possession’ of guns does not roughly or usually equate to possession of ‘working’ guns. The point is: an AK-47 is no more powerful – and is indeed less powerful – than many common hunting rifles. The police, being weapons experts, obviously knew this – but testified about the ‘dangerous’ nature of this particular gun because they knew the jury would have heard of it in the media and would know about its mystique as the weapon of choice for terrorists around the world. Clever, but misleading." Police abusing their power to target a gun-owner because they suspect that he might have a gun that they want to confiscate? Is this what we've come to? Yes, these are scary times! Over a 48 hour period between June 11th to June 13th, a total of 25 people were killed with firearms in New York. Victims were from all over the city. In fact, the only part of the city that didn’t experience a shooting over the 48-hour period was Staten Island! Eight were shot in the Bronx, four in Queens, one in Manhattan, and a whopping twelve in Brooklyn. The fellow killed in Manhattan was shot during the day amongst a crowd of people. Did the liberal media or the Democrats in that Blue State notice that New York’s "Safe Gun Act" hasn’t been effective in the least to stop crimes committed with guns. What New York’s "Safe Gun Act" has accomplished is that it has stopped law-abiding citizens from being able to respond to life-threatening attacks with their own guns. 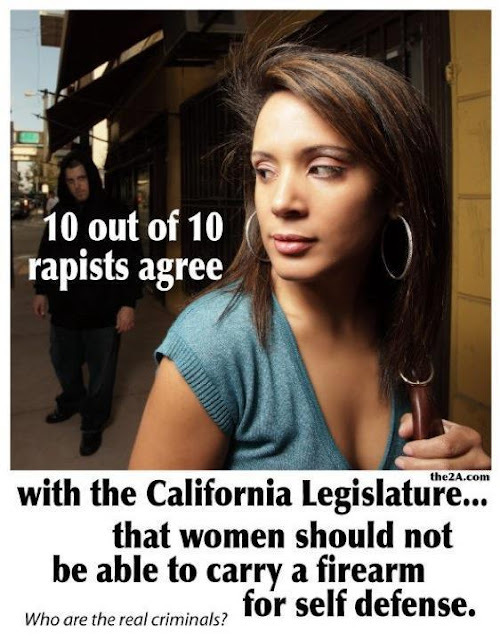 Law-abiding citizens don't commit crimes - criminals do! According to news reports 100 percent of this gun crime spree was perpetrated with guns held illegally in criminal hands. In New York, criminals have guns while law-abiding citizens are prohibited from having them. 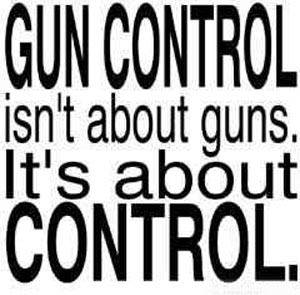 In fact, due to the anti-gun laws there, it is practically impossible for law-abiding citizens to get guns for themselves. It seems that the people in New York have to do one of two things, they can either be willing victims or break the law and find a gun for defense purposes. It's all up to them to decide just how precious they see their lives. Since the re-election of Barack Obama, gun enthusiasts around the country have rushed to purchase AR-15s. Many people have maxed-out their credit cards to get their hands on the rifle, all because of fears that Obama would find a way to circumvent the law and ban them. Currently, the average price of an AR-15 is $800-$1,000. That’s way down from the gun’s all-time high of $2,500 in January and February. Available stock of guns disappeared and manufacturers were forced to increase production to meet demand. Now manufacturers have AR-15s available. Yes, the supply of AR-15s is flowing again. Most dealers are beginning to discount the guns in order to clear them off the shelves. At this point, almost everyone who needed one of the rifles has found one — even if they had to empty their bank accounts to get it. The low AR-15 prices are met with some skepticism, but all in all this is a great time to buy an AR-15. Of course, like all things, along with this good news - there is bad. First, once you buy your rifle, you may have trouble loading it because ammunition is very scarce and many store shelves are still empty. And second, for all you folks in Blue States who voted for Democrats who want you unarmed - you're prohibited from buying one and are sitting ducks.